« Is Tebow on his way to being the Broncos #2 QB? Stokley on his way out as a veteran cut of the Broncos? The Post reports that the big name that may be done as a Bronco could be wide out Brandon Stokely, who has been trying to get back from a sore groin. The biggest name on the Broncos roster bubble is veteran wide receiver Brandon Stokley. While Stokley has been held out of three games while nursing a sore groin, the rest of the receiving corps appears to have proved it would be all right without him. Young receivers like Matt Willis and Eric Decker each had their best preseason game. Willis, playing primarily with the second-team offense and Tebow, caught five passes for 122 yards and a 39-yard touchdown. Decker, in his return to his hometown, caught 10 passes for 114 yards, all in the fourth quarter from quarterback Brady Quinn. 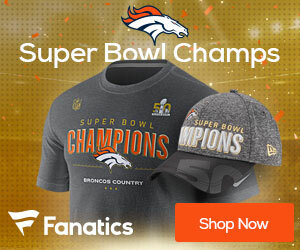 The Broncos will likely keep six receivers, and five players seem to have jobs locked up: starters Jabar Gaffney, Eddie Royal and Brandon Lloyd, and rookies Demaryius Thomas and Decker, the final spot could come down to Stokley and Willis, who also plays on special teams.